U.S. stocks climbed higher on Tuesday after lawmakers reached a tentative deal to prevent a government shutdown and optimism fueled by a potential trade war deal between the U.S. and China, according to MarketWatch. The Dow Jones Industrial Average gained as much as 350 points or 1.3% on Tuesday following the positive news. The S&P 500 increased by 32.5 points or 1.2%, while the Nasdaq Composite rose by 96.6 points or 1.3%. Democratic and Republican lawmakers said late Monday that a deal has been reached with one another to keep the government open to avoid another shutdown. However, the deal did not detail funds for President Trump’s border wall, but the deal would require the approval of Trump. Investors paid close attention to the ongoing U.S.-China trade talks, as the two are trying to negotiate a deal before the deadline in March. 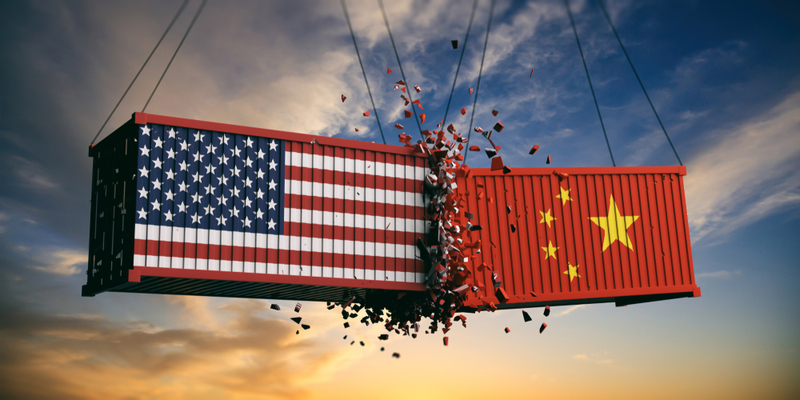 According to CNBC, both sides of the parties expressed that the new negotiations, which began in Beijing on Monday, would bring them closer to a trade agreement. Bloomberg News also reported that U.S. aides suggest that the most likely scenario right now is that deadline will be moved back because of how far behind both sides are on the talks. Earnings reports were also in focus on Tuesday as Shopify (NYSE: SHOP) and Under Armour (NYSE: UAA) reported their results during pre-market hours. Shopify missed its quarterly estimates, causing shares to tumble by as much as 5%. However, Under Armour surpassed expectations, sending its stock price surging by 7.8%. Activision Blizzard (NASDAQ: ATVI) and Twilio (NYSE: TWLO) are expected to report their financial results during Tuesday’s aftermarket hours.